We propose to use the partial directed coherence (PDC) to analyze the coupling between pairs of electroencephalographic (EEG) measurements during movement imagery tasks, as well as the directionality of such coupling. For this, we consider the multivariate autoregressive model of the signals from a selection of eleven EEG channels that are assumed as a fully-connected measurement network. 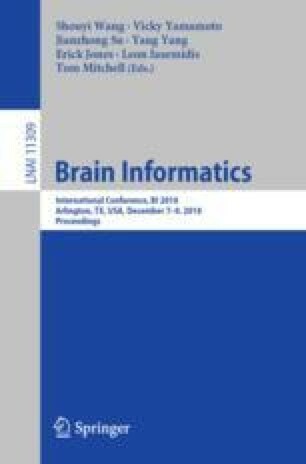 Then, we aim to find differences in connectivity patterns between motor imagery and resting state that arise in a brain-computer interface (BCI) system with visual feedback that controls the movement of a robot. Our preliminary results show that it is possible to relate the changes in the magnitude of the PDC to different connectivity patterns in the measurement network we have considered, and those changes are in agreement with brain functional connectivity that has been reported in other studies based mainly in magnetic resonance imaging. Supported by the Mexican Council for Science and Technology (Conacyt) through Grant 220145.